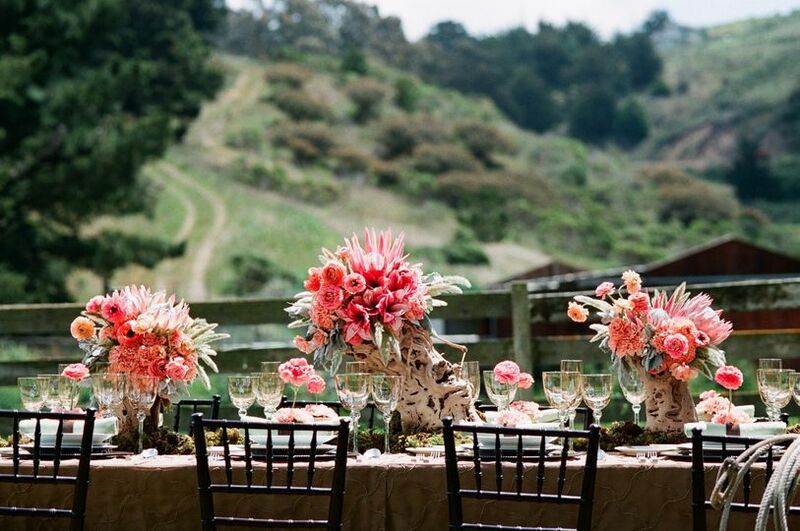 Long Branch Saloon & Farms is a rustic, western-style wedding event venue located in Half Moon Bay, California. With an older style, this venue allows its guests to step back in time and leave behind the hustle and bustle of a big city. Many brides who want something a little different in terms of style select this location to avoid wearing the fancy dress in favor of down home boots and jeans. 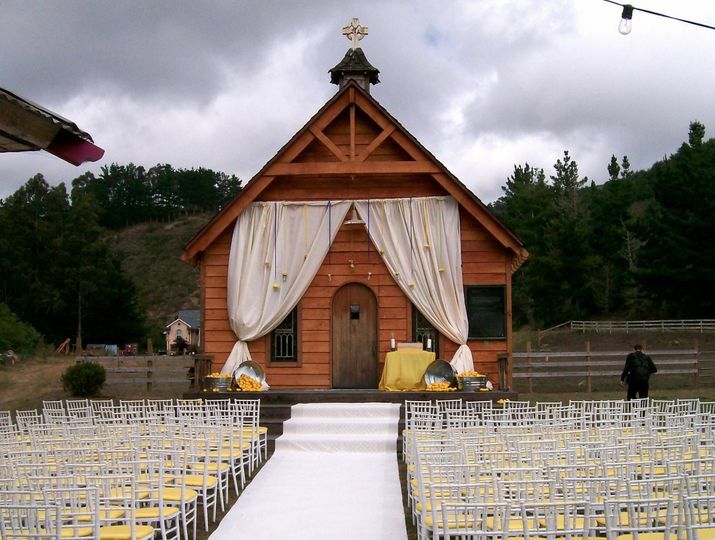 Many wedding parties that attend this venue often dress in western attire. 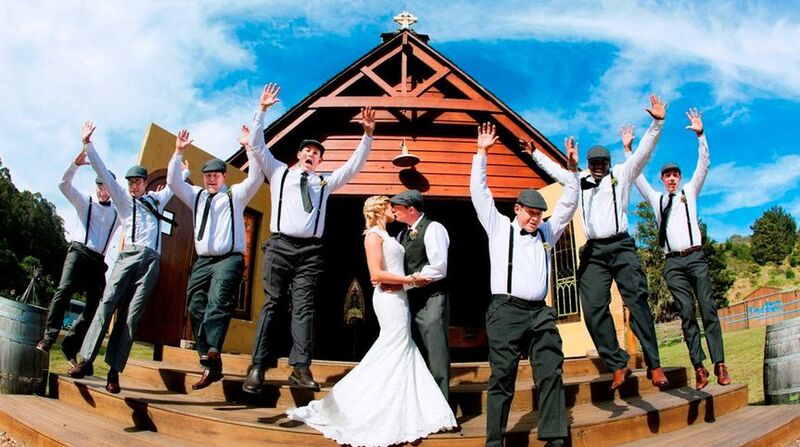 This venue sets the tone for a fun wedding celebration, minus the formal and seemingly uptight atmosphere that makes for a nervous wedding party. 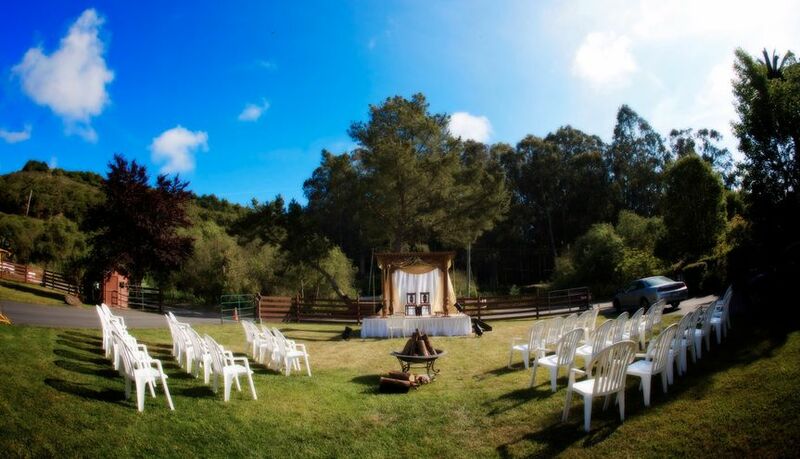 Whatever you decide to do for the attire of your wedding party, Long Branch Saloon & Farms will provide a unique and fun location for your wedding event with lots of interesting and unique services. 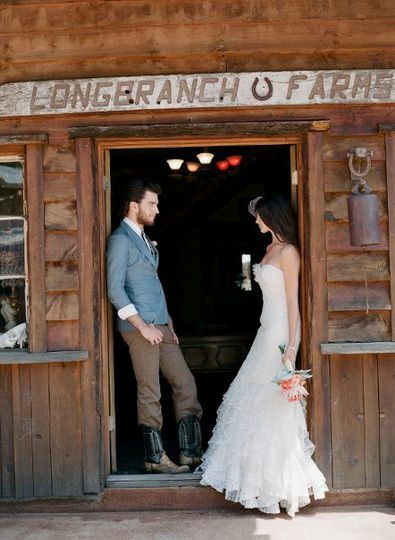 Long Branch Saloon & Farms offers three event space locations for you to have a fun wedding and reception. 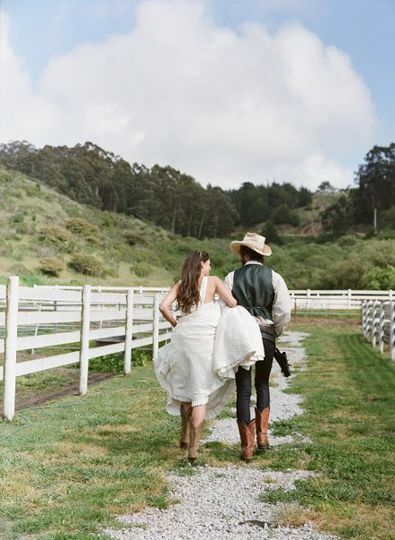 These locations will allow you to host up to 300 guests at your wedding event, and you’ll be able to do that in a fun, western style. 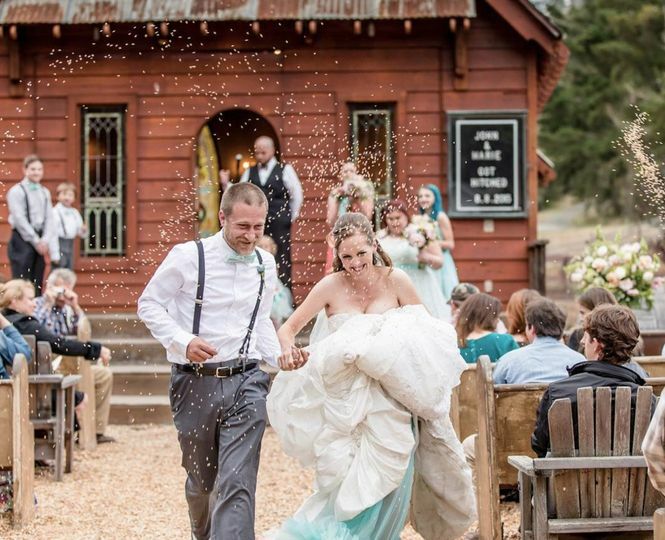 Your wedding guests will have access to lots of fun activities, such as gambling in the saloon on authentic gaming tables, dancing in the indoor Grand Parlor, or outside along the main street. Groups can also gather around the open fire pits for late night conversation and drinks from the in-house bar. We wanted to have a fairly non-traditional ceremony and reception, Long Branch was amazing to work with! We especially appreciated all the activities and fun things for our guests to do :) Instead of a cake we ordered some local pastries to go with Long Branch's amazing home made ice cream! They did a good job with everything and were so flexible, I can't think of a single thing we asked about that they said no - instead they were always trying to find fun, creative ways to say yes. 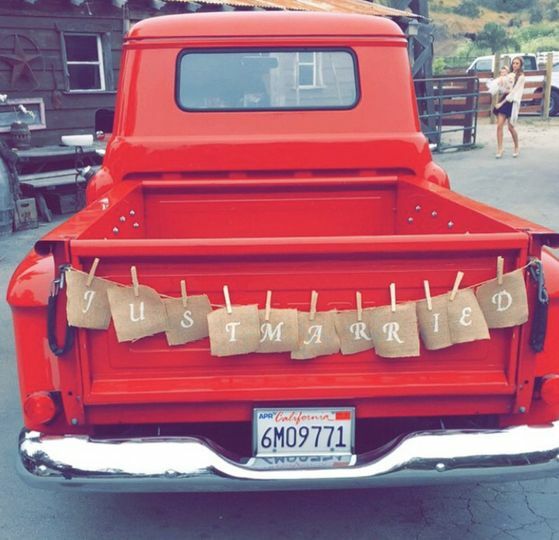 They have a perfect driveway to park two food trucks, and we really wanted to have amazing food at our wedding - they helped us pull it off! 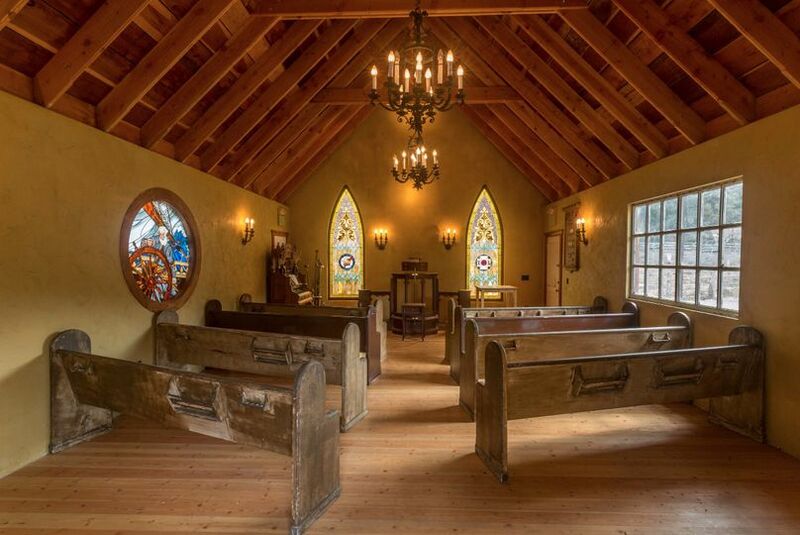 A unique venue with something for everyone! 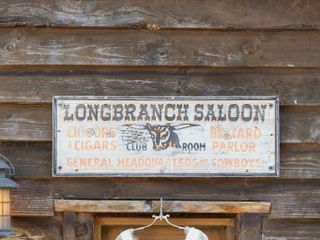 I have nothing but wonderful things to say about Long Branch Saloon and Farms! My husband and I got married there October 2018 and from start to finish we had the most delightful experience! Cassidy is the absolute best and truly wants to make the day as special as it can be. Not to mention she's part of the family who owns and runs it, and the passion they have for this beautiful property can be seen in every little detail that's been added. I sent Cassidy email after email asking every question I could think of, and I always received a quick and friendly response. There is something for every guest to do at Long Branch between the mini golf, saloon, games, etc, so you are guaranteed to not have one bored guest! We had a cocktail hour, and it was great to have so many things for our guests to do while we finished up photos. Everyone is STILL talking about our wedding and how it was the best wedding and venue they've ever been too! I would highly recommend Long Branch if you are looking for a unique venue that has a little something for everyone - you will not be disappointed!